Fingerlings are quickly becoming the hottest toy of Christmas 2017. This is the toy that parents who like the challenge of getting the it toy of the season will be after. The quesiton remains though what exactly is a Fingerling? 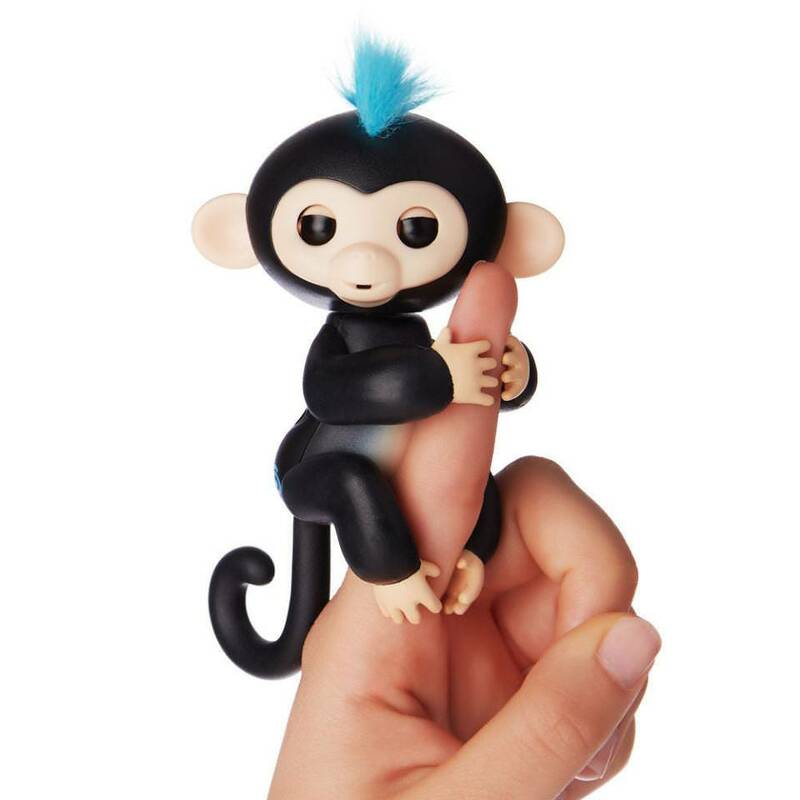 A fingerling is a small robotic toy that is designed to cling to a childs finger or another object. 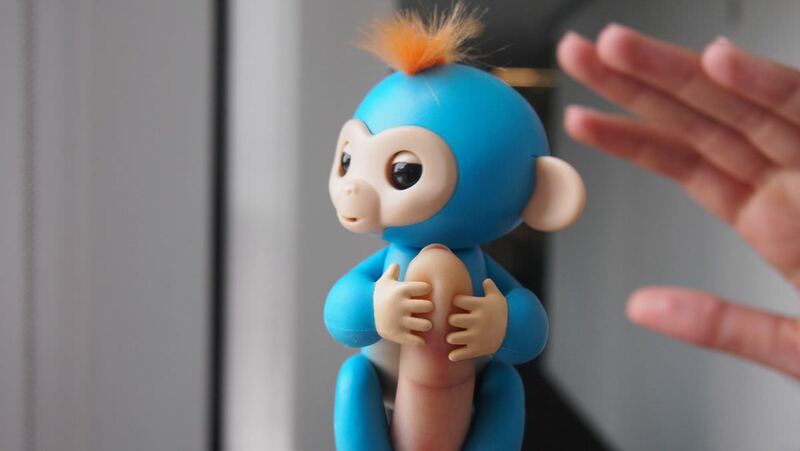 Fingerlings are designed to look like monkeys or other cute animals. The toy will react to being touched or sounds in the air. The toy will make cute noises, and change faces based off how it is played with. You can get different reactions out of a fingerling by dangling it, petting it, holding it upside down, blowing it a kiss and to sudden large sounds. The ability of a fingerling to dangle and hold on to objects seperates it from similar toys like Furbys. The Fingerling can easily be carried either by hand or on a back pack. 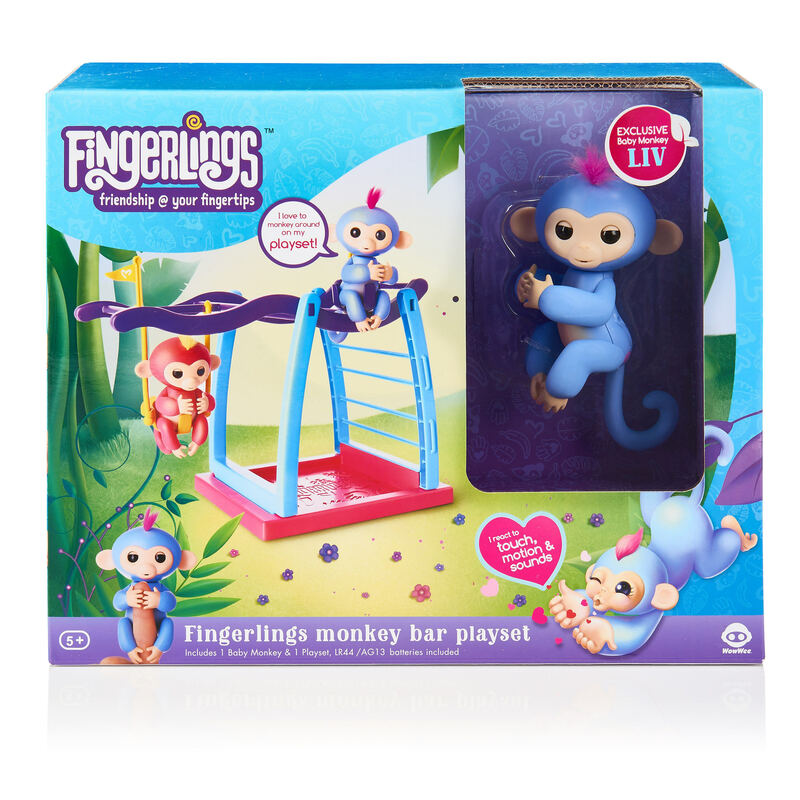 There are also Fingerling accessories available such as a swingset and a jungle gym that the Fingerlings can hang on. Is there really a great reason why they are becoming so popular? No not really, they are cute and new and just have really gained the attention of parents and kids as the "IT" toy. I think they are pretty cool and kids will have fun with them. However, I would not recommend paying exorbantly high prices for one. Many are selling for the 30-40 dollar range on ebay and I personally would not be willing to go beyond that range for one unless your child is really dead set on it. These toys are definetly not super high quality by any means and can fall apart if your kids are not careful with them. So buying them for 50 or 60 or beyond dollar will likely lead to disapointment. The MSRP of 15 dollars seems like an accurate value to me, pay beyond that at your own risk. Find us some Fingerlings Toylab you say well we will do our best. Here is what we have through our ties to the Amazon Affiliate Program. Please don't blame for inflated prices Toylab is just a conduit and finding the deals that exist on Amazon we are not selling any toys directly. Avoid anything that is not from WowWee and does not say it is a Fingerling is likely a Knock Off. See the videos on the fakes below to see what the fake ones look like vs the real. Is Official however at the moment is sold out. Fingerlings are a very hot toy right now and they are hard to find. Some Fingerlings are being sold at greatly inflated prices on ebay and craigslist. Additionally there are reports of fake Fingerling toys that are being fraudently sold as the real thing. If you are worried about Fake Fingerlings check out the video below. Generally be on the look out for packaging that does seem legitimate. Each of the Fingerlings also have a name that is on the back of the box, make sure that the color of the Fingerling and its name are consistent. If the name is not consistent don't buy it, it is likely a fake. Those are the main Fingerlings however there are many more. For all the names you can go onto Fingerling.com and go to Buy Now and after selecting your country you will be asked to select a Fingerling. The full list of Fingerling names is there and once selected an image of the Fingerling appears. This can allow you to compare the name to the picture of the actual Fingerling that goes with that name. Make sure the toy you are buying looks like that.